The Byron Colby Barn was built in 1885 by a local dairy farmer, and was scheduled for demolition a century later. When the owner agreed to donate it, this historic barn was instead preserved for future generations. An expert crew carefully deconstructed the Barn timber by timber, and rebuilt it in 1996 inside Prairie Crossing, a nationally known conservation community in Grayslake. The Byron Colby Barn offers concerts, lectures and other events. 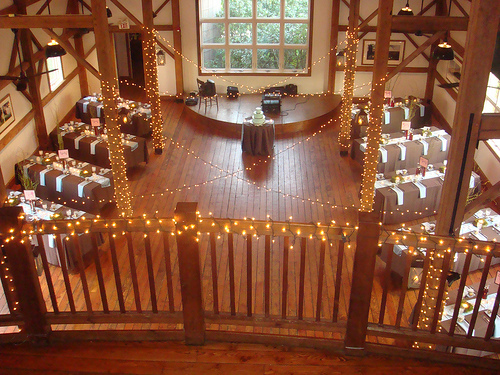 The Barn is also popular for private rentals including business meetings, holiday parties and elegant "do it yourself" barn weddings and receptions.